The biblical doctrines which the Reformers rediscovered and emphasised provided the framework out of which modern medicine was available eventually to develop. Christians remain active in all fields of medicine today but particularly in AIDS care and education, drug rehabilitation, child health, palliative care, relief of poverty and in service to the developing world. This should not surprise us. Jesus Christ is known as the Great Physician for good reason. According to eyewitnesses, his dynamic entry into first century Palestine was marked by miraculous healing of many illnesses for which even today there are no known treatments. But along with his compassion to restore health he also brought a message of healing of broken relationships - between human beings, between human beings and the planet and most crucially between human beings and God. In his historical account of those events, Luke, probably the first ever Christian physician, tells us that Jesus described his own ministry in terms of preaching, healing, deliverance and justice (Luke 4:18-19) and sent his followers out 'to preach the kingdom of God and to heal the sick’ (Luke 9:2). When I told colleagues that I had been asked to speak about Medicine and the Reformation, some questioned whether there was any connection at all. There is a perception that the Reformation in England actually took medicine back to the dark ages as a result of King Henry VIII suppressing the monasteries. And there is some truth in this. Henry’s actions indirectly deprived many suffering and disabled people of their only means of support. 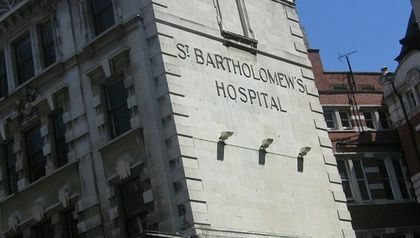 Patients of hospitals like St Thomas’ and St Bartholomew’s, founded and run by monastic orders, were thrown onto the streets and the onus for health care was shifted to the City Fathers and municipalities. But in considering how the Reformation influenced medicine we are not saying that every political consequence of the Reformation was good for medicine and society, nor that Christianity’s involvement with medicine began with the reformation. Rather we are claiming that the biblical doctrines which the Reformers rediscovered and emphasised provided the framework out of which modern medicine was available eventually to develop. It did not happen immediately but rather the Reformation laid the seedbed which gave rise in Britain to the Puritan century of 1560 to 1660, the evangelical revival of the 1700s and the ensuing social reforms of the 1800s which in turn led to the explosive advances in medicine and surgery which characterised the 1900s and which continue unabated today. These doctrines, of course, were not new but they were freshly rediscovered and applied by the reformers. They might perhaps be summed up in the words of the Apostle Paul to the Galatians, ‘Bear one another’s burdens and so fulfil the law of Christ’. But first let’s go back to the early centuries of Christendom to trace Christianity’s relationship with medicine. While so-called healers have always existed (and there is no shortage today), modern, scientific medicine has its roots in ancient Greece. The study of illness and the treatment of disease are traced back to the school of Hippocrates. However, for all the intellectual interest they had in medicine, the ancient Greeks had little interest in hospitals. There has not been much prospect of real cure for most illnesses until the last century. The real challenge down the ages has been to care. As the aphorism goes, ‘Cure sometimes, relieve often, comfort always’. Contra Celsum 3.12), and Tertullian (c. 200 ce), who was fond of employing medical analogies in his writings, believed that medicine was appropriate for Christians to use. The theme of Jesus as the Great Physician (Christus medicus) was popular in the writings of the Church Fathers. Christian concepts of philanthropy were motivated by agape, a self-sacrificing love of others that bore witness to the love of Christ as reflected in his incarnation and redemptive work on the cross (e.g., Mt. 25:35–40, Jas. 1:27). Christians were encouraged to visit the sick privately, and deacons (whose duties largely consisted of the relief of physical want and suffering) were expected to visit the ill. Beginning in 250, the cities of the Roman Empire experienced a major plague that lasted for fifteen to twenty years and reached epidemic proportions. Because the civic authorities did little to deal with the plague, the Christian churches undertook the systematic care of both pagan and Christian plague victims and the burial of the dead, despite the fact that Christians were at the time a persecuted minority. It wasn't until Constantine granted the first Edict of Toleration in AD 311, that Christians were able to give public expression to their ethical convictions and undertake social reform. From the fourth-century to present times, Christians have been especially prominent in the planning, siting and building of hospitals, as well as fundraising for them. The embracing of Christianity by the Roman Empire from 313AD allowed the rise of institutions devoted to nursing care. Important hospitals were founded in Caesarea (369), Edessa (375), Monte Cassino (529), Iona (563), Ephesus (610) and St Albans (794). A few decades after Constantine, Julian, who came to power in AD 355, was the last Roman Emperor to try to re-institute paganism. In his Apology, Julian said that if the old religion wanted to succeed, it would need to care for people even better than the way Christians cared. In AD 369, St Basil of Caesarea founded a 300-bed hospital. This was the first large-scale hospital for the seriously ill and disabled. It cared for victims of the plague. There were hospices for the poor and aged isolation units, wards for travellers who were sick and a leprosy house. It was the first of many built by the Christian Church. In the so-called Dark Ages (476-1000) rulers influenced by Christian principles encouraged building of hospitals. Charlemagne decreed that every cathedral should have a school, monastery and hospital attached. As Europe began to change from a largely rural and manor-based society to an urbanized one in the eleventh century, medicine developed into a profession and the clergy's role was diminished over time. By the Middle Ages, across Europe, churches and religious orders cared for the elderly, the weak, the insane, the sick, and the dying, as well as passing travellers in need of shelter. The foundation charter of the Pantokrator hospital in Constantinople (1136) says that medical teaching also took place there. In the later Middle Ages, in cities with large Christian populations, monks began to 'profess' medicine and care for the sick. Monastic infirmaries were expanded to accommodate more of the local population and even the surrounding areas. In England, there are said to have been nearly 500 hospitals by the close of the fourteenth century. The main institutions were in cities. In London, St Bartholomew's had been founded in 1137; St Thomas's in 1215. But the Reformation, through the doctrines it emphasised, took medicine several giant steps forward over the next few centuries – establishing it as a professional calling or vocation in its own right, putting it on a scientific footing, enhancing medical training, building specialities, making it truly holistic, bolstering its ethical framework, extending its role into public health and taking it to the developing world. Protestants differed from Catholics in their approach to the Christian life. The Catholic tradition saw in the ascetic or reclusive life the Christian ideal, whereas Protestants encouraged a life of active participation in the world. In Catholic thought the world was divided into temporal and spiritual estates. Catholics who desired wholeheartedly to serve God entered holy orders, and they considered secular professions to be of secondary importance. 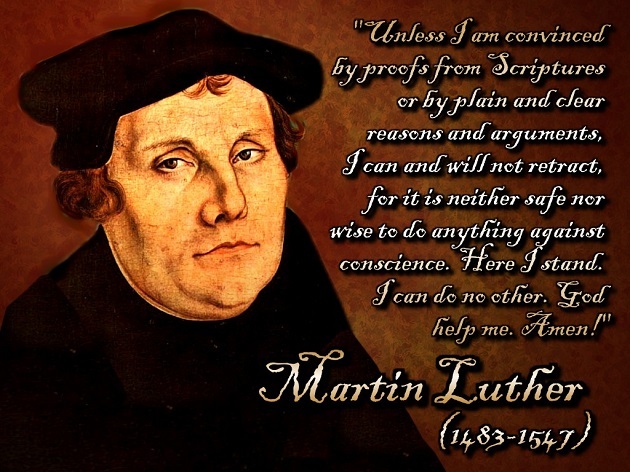 Martin Luther and John Calvin (1509–1564) abolished the distinction between secular and sacred callings. They broadened the idea of vocation (in medieval terms, a call to a contemplative life) by incorporating into it the secular professions. A physician or a nurse might glorify God in treating others medically as much as a priest might do so in caring for souls. The reformers' desire was to extend God's redeeming grace into every activity of life. He also recommended fumigation for homes contaminated with the plague and avoidance of unnecessary travel and exposure to different places. During the plague, Luther also suggested that neighbours help each other and provide sympathetic support to the sick and to the mourning. Luther’s friend Bugenhagen implemented health reforms centering on baptism, midwifery, nursing, and hospitals. He argued that midwives should be regulated, qualified, and honest. By his promotion of public health concerns, the medical community gained the necessary funding, support, and personnel to treat the diseases of the day. Luther argued that God gave man the ability to think so that man could use tools such as medicine in order to have healthy, productive lives. In the same way that God gave man the ability to make clothes, to be used as protection against the elements, God gave man the ability to make medicine to be used for healing. An acquaintance of Luther, Philip Melanchthon, based his medical school curriculum at Wittenberg University on the exploration of dissected bodies - a practice that was not usually socially acceptable. Clergy-physicians played an important role among Protestant ministers from the sixteenth through the eighteenth centuries. In an age in which trained physicians were especially uncommon in villages and rural areas, the Protestant belief in an educated clergy ensured a supply of persons who had both the leisure and the learning to read medical books. John Wesley (1703–1791) took a course in medicine so that as a minister he could be of help to those who had no regular physician. In 1746 he opened a dispensary and in the next year published a lay medical guide, Primitive Physick. 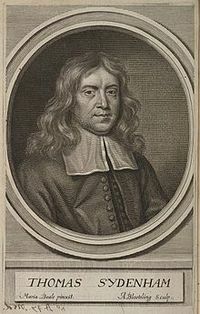 Clerical physicians were also common in colonial New England, where Cotton Mather (1663–1728), a Bostonian minister who himself practised medicine, called the combination of the care of soul and body the "angelical conjunction". During an epidemic of smallpox in 1721, many physicians (together with members of the local press) opposed inoculation as a hazard to health and a rejection of divine providence. Mather defended the practice, maintaining that any medical procedure might invite the same kind of objections. He was supported by five other prominent clergymen. The same can be said of the advance of surgical techniques and practice. Ambroise Pare abandoned the horrific use of the cautery to treat wounds and made many significant surgical discoveries and improvements. The Catholic Louis Pasteur's discovery of germs was a turning point in the understanding of infection. Lister (a Quaker) was the first to apply his discoveries to surgery, changing surgical practice forever. Davy and Faraday, who discovered and pioneered the use of anaesthesia in surgery, were well known for their Christian faith, and the obstetrician James Simpson, a very humble believer, was the first to use ether and chloroform in midwifery. James Syme, an excellent pioneer Episcopalian surgeon, was among the first to use anaesthesia and aseptic techniques together. William Halsted of Johns Hopkins pioneered many new operations and introduced many more aseptic practices (eg rubber gloves), while William Keen, a Baptist, was the first to successfully operate on a brain tumour. Herman Boerhaave followed in Sydenham's footsteps, and was very influential in pioneering modern clinical medicine, while William Osler taught all medical students to base their attitudes and care for their patients on the standards laid down in the Bible. He was also a leading pioneer in whole person or holistic medicine. Herman Boerhaave (1668- 1738) was the son of a Reformed minister in Leyden who switched from theology studies to medicine. By 1718 he was the Professor of Medicine, Botany and also Chemistry. He was much influenced by the writings of Thomas Sydenham, especially his empirical attitude to disease. Boerhaave re-introduced bedside teaching and laid down clinical attitudes to patient care that came to be widely followed by his disciples throughout Europe. Several of them became highly influential, including: von Haller and Linnaeus (founders of modern physiology and natural history), as well as van Swieten and de Haen (whose open-minded scientific empiricism, based on Boerhaave’s teaching, transformed the outlook and approach of the Viennese School of Medicine, which in turn became the pattern of the new Western Medicine). The Hippocratic ideal was expanded by doctors such as Thomas Browne (seventeenth-century), a Christian physician who was one of the first to write on medical ethics and whole-person care. Thomas Percival, a zealous social reformer as well as a physician of integrity, drew up the first professional code of ethics in the eighteenth-century. From that time Christian thought has shaped much of the modern profession’s ethical conduct, promoting personal integrity, truthfulness and honesty. The emerging practice of orthopaedics was much enhanced by the Lutheran Rosenstein's textbook on the subject, while the devout Underwood's Treatise on the Diseases of Children became a classic. 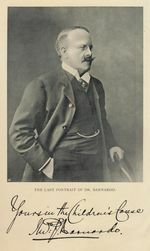 Still's disease was named after George Still of King's College Hospital and Great Ormond Street Hospital, who was a Lutheran and a vigorous supporter of Barnardo's homes. In the field of dermatology, Willan (who wrote a history of Christ) was the first to classify skin diseases, while many Christian clergymen-physicians such as Blackmore, Willis and Fox were pioneers in the advance of psychiatry. In the USA Daniel Drake, an Episcopalian, was among the first to study geographical pathology, and WH Welch of the Johns Hopkins, was an outstanding Christian pathologist who discovered the bacillus of gas gangrene. James Simpson, Howard Kelly and Ephraim McDowell, all devout believers, were towering figures in obstetrics and gynaecology. When asked by a journalist about his greatest discovery, Simpson said that his greatest discovery was not chloroform in anaesthesia, but that he was a sinner and Jesus Christ his saviour. Whilst most medical advances and discoveries have taken place in hospitals, numerous general practitioners such as Sydenham, James Mackenzie and Clement Gunn worked tirelessly in day-to-day practice, striving to embody the ideals of Christianity in their ethics and care of their patients. Early on Christians realised the connection between health and hygiene. Girolamo Fracastoro, a very versatile student in the sixteenth-century, began to investigate the spread of contagious diseases. In the next century his work was continued by Thomas Sydenham. Ministers advocated personal hygiene. It was John Wesley who said 'Cleanliness is, indeed, next to Godliness.' 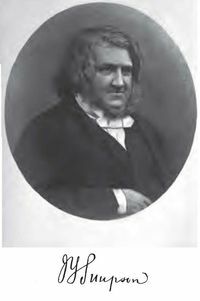 The social activism of the Quakers is well-known, among them John Fothergill who campaigned to eliminate social wrongs on grounds that they undermined the health of the people. Another Quaker, John Howard, had a great concern for prisons, where overcrowding and typhus were rife, and successfully promoted two prison reform Acts of Parliament. Edward Jenner, was responsible for the beginnings of immunology and in ridding the world of the scourge of smallpox. In the nineteenth-century, the Industrial Revolution had led a drift to the inner cities and intense social needs among the poor. It was the Quakers, Evangelicals and Methodists who in particular applied themselves vigorously to meeting these needs. A nationwide movement of Christian missions to help the poor was founded. Huge sums of money were raised by voluntary subscriptions. And armies of volunteers went to slum areas to offer practical help. Attention was paid to the misfits of society, such as drunkards, criminals and prostitutes, as well as homeless teenagers. The Salvation Army, founded in 1865 by William Booth, provided much-needed medical care in impoverished inner city areas and homes for women who had been induced into prostitution. Unmarried mothers were cared for, and these projects have spread all over the world. Dr Thomas Barnardo set up his children's homes after seeing the terrible plight of thousands of hungry and homeless children in the East End. Inner city missions bringing a combination of medical care and the gospel were set up. Christians were at the forefront of temperance movements. Care for the blind and deaf were areas drawing direct inspiration from Jesus. Use of Braille worldwide and schools for the deaf were pioneered by evangelical Christians. Jesus commanded his followers to go and make disciples of all nations (Matthew 28:19), as well as exhorting them to love their neighbours as themselves. There have been several waves of missionary work during two millennia, and in each case medical work has played a key part. Dr John Scudder was among the first Western missionaries of the modern era and in 1819 went to Ceylon, now Sri Lanka. Among the best-known pioneer medical missionaries were David Livingstone (Central Africa), Albert Schweitzer, a talented doctor, theologian and musician, who devoted his life to people living in the remote forests of Gabon, and Albert Cook, who founded Mengo Hospital in Uganda. William Wanless founded the Christian Miraj Hospital in India, and Ida Scudder, daughter of John, founded the world-famous Vellore Medical College in the same country. Hudson Taylor spread the gospel and western medicine to China and founded the China Inland Mission. Paul Brand pioneered missions to lepers. Henry Holland and his team, working in the north-west frontier of the Indian sub-continent, operated on hundreds of cataracts every day. Others have been influential in the prevention of such diseases as malaria and tuberculosis. There was a strong Christian element in the motivation of the pioneers of medical education for women. Elizabeth Blackwell, the first woman doctor, was a Quaker, while Elizabeth Garrett came from a very devout family. Ann Clark, another Quaker, was the first woman surgeon and worked at the Women's Hospital and the Children's Hospital in Birmingham. Sophia Jex-Blake, another devout Christian, founded the London School of Medicine for Women, while Clara Swain was the first woman doctor to go overseas (to Asia) as a medical missionary. Peter J. Saunders is CEO of Christian Medical Fellowship (CMF), United Kingdom. He writes at Christian Medical Comment. This article was re-published with permission.